grain handling capacity in North America. The history of organized real estate in the region dates back to 1914, and the creation of the Association of Port Arthur Real Estate Agents. At the initial meeting it was “resolved unanimously by those present that a Real Estate Association would be of mutual advantage to real estate dealers and property owners.” G.H. Rapsey was elected the first president. 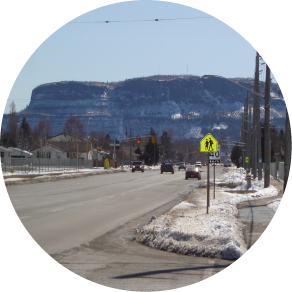 After several years of study and political campaigns pro and against, the City of Thunder Bay was created through a provincial bill on May 8th, 1969. The new city became a reality of January 1, 1970 with local businessman Saul Laskin as Mayor. He had also served as Mayor of Port Arthur from 1962 to 1969. The new City consisted of Fort William, Port Arthur and the adjacent geographical Townships of Neebing and McIntryre. As a result of the municipal merger, Fort Williams Real Estate Board and the Port Arthur Real Estate Board merged, creating one organization and MLS® system serving 135 members. 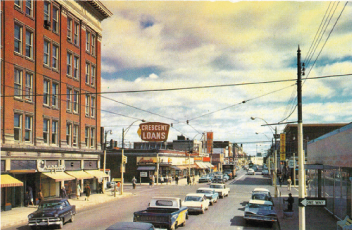 In 1971 the name was changed to Thunder Bay Real Estate Board, creating the local real estate organization as it is today.